Elray Kocke | Service to our community and to our customers are uppermost in the minds of our dedicated employees. Call us at 225-473-8274 today! 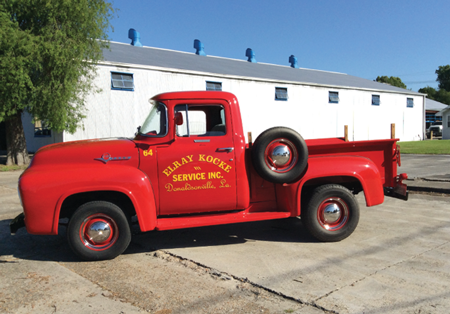 Elray Kocke started his business of collecting scrap iron, metals, and lumber in 1916. From demolishing old sugar mills to hauling heavy equipment for the oil industry, Elray Kocke has seen it all. In 1953, the business expanded to lumber and building materials as well as ready-mix concrete. As a dynamic and innovative company, our employees are dedicated to providing quality superior lumber, concrete, and building supplies at fair prices to our customers and our community. With over 100 years of experience, the Kocke family stays true to its’ founding values; service to our community and others, and guaranteed customer satisfaction. © 2017 Elray Kocke Service, Inc.